IF your employer requires you to wear them AND they are not clothing that can or normally would be worned for personal or social reasons. In other words, if you are required to wear a uniform to work such as in the medical profession, restaurant industry, auto mechanic, etc. the cost of purchase and maintenance may be a legitimate deduction for you. Many industries have strict dress codes and clothing requirements, however that does not automatically meet the IRS requirements. For example a broadcast journalist may have a specific wardrobe requirement, but since those styles of clothing can and normally are worn in personal and social settings, the cost affilated with the clothing worn on the air does not meet the IRS requirements for the deduction of work clothing. In general, the employer of a broadcast journalist may provide a clothing allowance to assist in the cost of the wardrobe. And even in the case of a restaurant employee, if you are required to wear a white shirt and black pants, those clothing are not deductible because they can be worn outside of the job. If, however, the company logo is on the shirt, the cost associated with the shirt, will be a deductible expense, because the logo limits the use of the shirt. Here’s the other kicker, as it relates to deducting your clothing, this deduction is considered a miscellaneous itemized deduction, meaning two things. First, you have to meet the qualifications to itemize your deduction and second, any miscellaneous deduction is subject to the “2% miscellaneous deduction rule.” This means that these type of deductions must exceed 2% of your AGI (adjusted gross income). See IRS Publication 17 for the details and requirements. 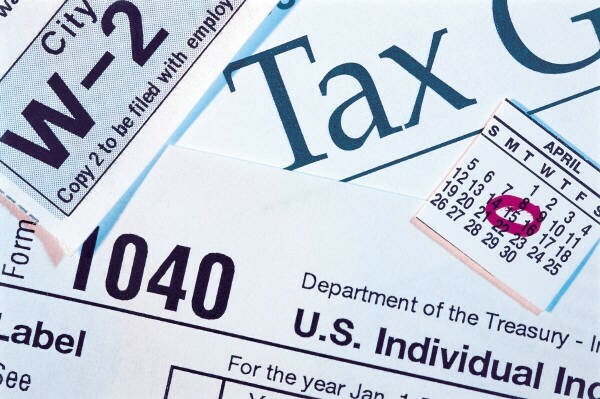 You can find your AGI on your 2015 tax return on the following lines: line 4 on IRS Form 1040 EZ, line 21 Form 1040A and line 37 Form 1040.